Probably our best performance so far, but tempered by some cheap loss of possession and in the closing stages the inability to maintain the ball. This lead to a very nervy last ten minutes, but ultimately we held on for a point. The ref, Mr Hajime Matsuo, was blowing for everything that moved, especially giving Ono a hard time. Omae's second goal in two games came from a dive in the box which fooled the ref. Less of this please, Genki! Maybe he was getting frustrated as he'd rattled off a few decent shots over the game but hadn't found the net. The decision was soft, but fair play to him on despatching a perfect kick past Iikura. Brosque had a big and immediate impact when he came on and very nearly opened the scoring after a swift one two with Ono. His introduction coincided with the game sparking into a frantic last quarter. Nakamura was a hassle throughout, and this was typified when one of his trademark freekicks was only denied by the crossbar. In the final play of the afternoon, Brosque turned a defender to put himself clean through on goal, but Mr Matsuo once again blew his whistle having deemed the minimal body contact a foul. Maybe he'd realised his mistake on the penalty call and wasn't about to let us win it at the death. I would not be surprised. Ono was played high up on the left in more of a free role to take advantage of his attacking and creative abilities. With five at the back Iwashita played just in front of a back four as an anchor. After the opening week's battering, the good ship Ghotbi seems to be steadying somewhat as the team beds in and the best system is figured out. With Daigo Kobayashi on the mend, I'm looking forward to the months ahead. I grabbed this off the TV just now, so until something better turns up, here you go. Genki's goal against Fukuoka is included at the start. Last week we got 11025 in the driving rain for a game that was live on free TV. Less than three hundred more than that turned up the Yamaha this evening for Iw*ta's opening home game. Bare in mind it's the first day of a long weekend, the game wasn't on free TV, and the weather could not have been better. The apathy in the west of Shizuoka is little short of MIND BOGGLING. Probably time to start using the Twitter account we set up ages ago. All the very latest news from S-Pulse will be tweeted in English via our account along with match updates and other bits and bobs we feel like tweeting. As I can do it on my phone our tweets will no doubt beat our website articles to the punch, so it'll be worth following. And you can do that at @spulseukultras. The forgotten derby day of the J. League. 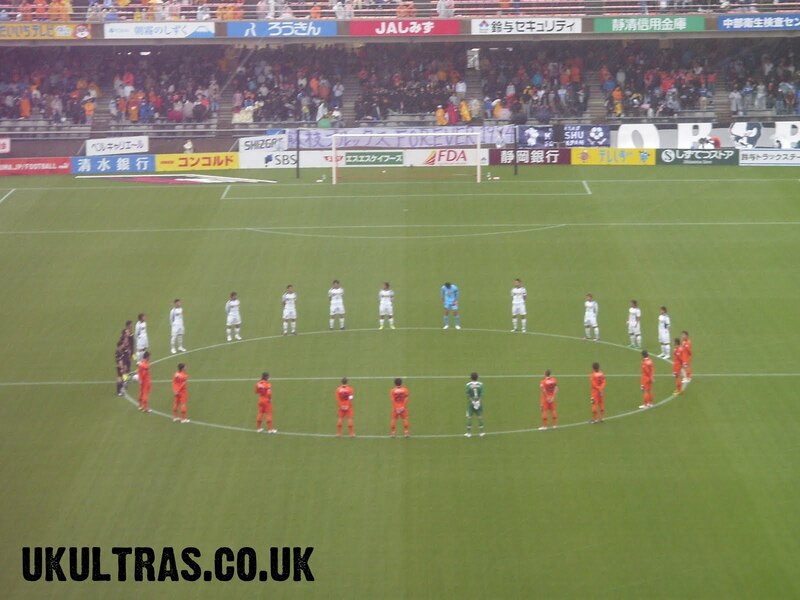 Shimizu vs Fujieda, the two towns a mere 15 miles apart. Today's visitors were founded a decade before before S-Pulse but were beaten to the J. League punch in 1993 by us, and then in 94 by Iwata. This left Shizuoka prefecture pretty much saturated and in 1994 Fujieda Brux upped sticks and relocated to the southern island of Kyushu, becoming Fukuoka Brux in the process. One further name change and you get to today's Avispa. Enough history, but the huge banner at Nihondaira which read Fujieda Brux Forever 1994 was a nice touch. The rain started overnight and persisted for 24 hours meaning there were 6000 people with tickets who chose to watch it on the box. I guess given that it was on free to air TV, the fact we had over 11000 standing in the rain for two hours was something of a miracle. Wonder if we'll ever get a roof behind the goal, or even a new covered stadium one day? Anyway, the game was alright. Both teams struggled to created anything much in the slippery conditions, and we had to wait 80 minutes before a touch of class from Genki gave us the breakthrough. A handball right on the edge of the box and Omae stepped of to swing in a perfect strike past the despairing keeper. After that, Avispa started trying their luck from distance, which given the wet surface I was amazed we hadn't seen more of over the preceding 80 minutes. They even hit the outside of the bar, though not to be outdone, Takahara let loose with a thunderous shot of his own which came back off the cross bar. So the game played out and and ended 1-0, which was three points well earned. It was one of those days you call character building but in reality was just bloody horrible. I hope it's sunny when we play Hiroshima next week. I really, really hope so. Personal video of Omae's cracking freekick Includes the build up..
To put the scoreline in perspective, Ajax, who are right up there going for the league title, beat the 2009 Eredivisie champions AZ by the same scoreline last month. So for a team under reconstruction, and probably jetlagged to boot, the 4-0 is nothing to be ashamed of. Well done S-Pulse - we're proud of you! Full highlights. Some tasty play as ever from Ota. We really should have got at least one, but the gulf in class between one of the best Dutch teams and a good to middling J. League team is clear. Tonight European time, middle of the night Japan time, the boys take on Ajax in their charity fund raising game. Click here for some pictures of the team's arrival and initial adventures, and here for more on the tour of Amerstadam. Included is a visit to Japanese school over there and checking out the beautiful Amerstadam ArenA. The game is on Sky Perfect TV from 3.20am for those of you able to spend most the night awake. Go S-Pulse!! Over 5500 people turned out in the pouring rain for a charity game to raise money for the earthquake. It's a shame the weather wasn't more kind as the crowd figure no doubt took a hit as a result, but nevertheless several million yen was raised for the very best of causes. Today was never really about the game and all about the cause. 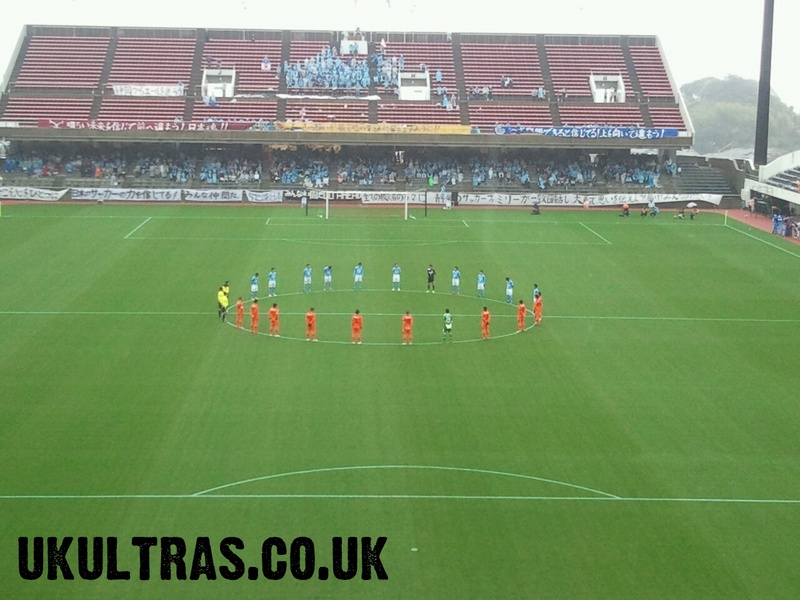 S-Pulse and Jubilo fans sang as one in support of Kashima, Sendai and Mito, the three teams worst effected by the disaster. 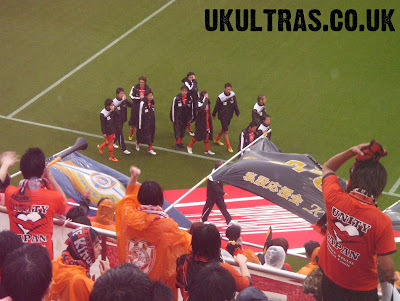 It was far from a regular occasion with everything toned down and no songs or chants which were overtly pro-Shimizu. I'm not even sure either team wanted to win this game. Perhaps it would have looked like poor form to have gone all out to win today. We opened the scoring from a corner where a rare goal from Hiraoka came from a header at the near post. This was just before half time, but moments after the restart Jubilo had equalised. I didn't see the build up, distracted as I was singing along with Jubilo to Sendai's Country Roads song. But like I say, it wasn't a real game in the way a league derby would be, and little can be read into the scoreline or performance, so I'm just to leave it there. What matters is the millions of yen raised. Ganbare Nippon!!! Just to blow my own trumpet a bit, here's an article I penned this week which has very kindly been published on the excellent In Bed With Maradona website. Check it out here, and do spend some time looking around the site. Many excellent articles on there. 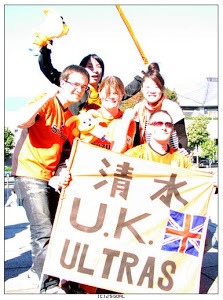 It’s Shimizu S-Pulse’s first home game of 2011 and the football crazy fans of Shizuoka City eagerly anticipate their team’s entry onto Nihondaira’s perfectly kept surface. But in the early spring sunshine, something is missing. There are no pounding samba drums, no announcer bellowing over the loud speaker, and the customary roof-lifting roar is eerily absent. Three sides of the stadium sit surreally empty. After a muted introduction, S-Pulse and Yokohama FC emerge to a warm round of applause which soon fades to silence. Both teams line up in the centre circle, and we stand and bow our heads in sombre remembrance of the tragedy which shattered the north east of the country. Today’s match is a training ground practice game hastily rearranged to be held at S-Pulse’s home stadium. Entry is free but players from both teams man donation boxes at the ticket gates. Despite the event only being announced three days previously, over 5000 people pack the one opened stand, and the charity boxes are stuffed with notes. The 2011 J. League season was just one game old when the earthquake and tsunami brought a halt to all major sporting events in the country. The scope of the disaster, which occurred on a Friday morning, was soon apparent and an evening announcement postponed all the weekend’s games. This was soon extended indefinitely. 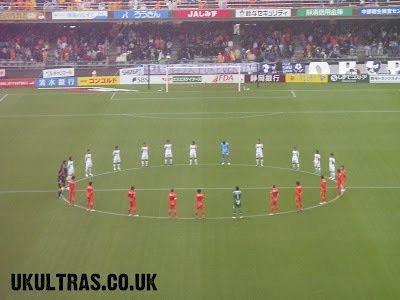 S-Pulse’s opening home game with Kashima Antlers was set for a sell out but it was Kashima who were one of the teams hardest hit. Their stadium and training facilities received considerable damage and are unusable for the immediate future. It’s a situation common to other north eastern teams, in particular Vegalta Sendai. The team nearest to the epicentre, Sendai’s club house was destroyed and training grounds rendered unusable. Their Yurtec Stadium was also badly damaged. Other teams are unaffected by physical damage but still have to face up to shortages in power and supplies. This, along with considerable difficulties in transportation and communications, are affecting areas such as Yamagata, home to Montedio Yamagata. As the emergency operation was in full swing, J. League teams throughout the country began offering the use of facilities to those in need. Sendai have been offered the use of Kashiwa Reysol’s second stadium, and of Vissel Kobe’s training ground. And the country’s football fans are right behind them. 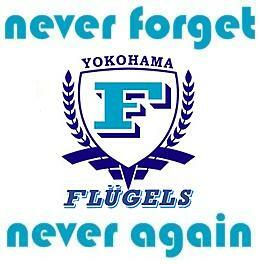 Fund raising games such as S-Pulse’s with Yokohama FC are no one off. It’s a situation mirrored up and down the country with many matches played and many more scheduled. From the Yokohama fixture alone, 2000000 yen was raised. Multiply these efforts over the J. League as a whole, and you have an idea of the scale of endeavours by the nation’s supporters. Before the season is due to resume, S-Pulse have three more charity games lined up, including a high profile fixture in Holland against Ajax. A major recurring theme since March 11th is the unifying effect of adversity. The sharing of stadiums and training facilities is strengthening relationships and building new ones. Supporters of rival teams are standing shoulder to shoulder raising funds. Players nationwide have been donating their time to community events such as a free S-Pulse football workshop for Shizuoka children which raised over £2500. When a J. League all star XI took on the Japanese national team on March 27th 50000 supporters packed Osaka’s Nagai Stadium. It was the first major footballing event since the quake. One huge banner simply read: Football Saves Japan. 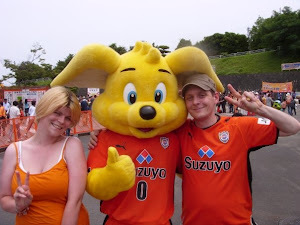 And it was with a strong sense of this sentiment that I watched S-Pulse play out an entertaining game with Yokohama FC. The, if only brief, sense of normality is something those around me seemed to be craving. After such a traumatic fortnight, football does save. This sport has given people a channel for their energies, and one which is perfectly suited to the overriding national characteristic of community and common responsibility. The unimaginable hardships being endured by those in the most badly affected areas are not dampening the ambition and drive to get their teams up and running again. Due to efforts of officials and supporters, their own and of other clubs’, Sendai will be back in action at a training camp as early as April 3rd. For many there is still a long, hard road ahead, but when the season restarts on April 23rd, it will be with a new sense of unity. Rivalries will exist as ever, but beneath the surface, ties between opposing teams and their fans will be deeper than at any time. The J. League will be all the stronger for it. Not unexpectedly, the Nabisco Cup has been forced into some changes after the six week lay off. The new format can be seen in full here. S-Pulse will start with a two legged tie with Kofu to be played on June 5th and July 27th. If we win it's another two legged game against Niigata.